Transparency has been one of the key topics facing the ad tech sector in 2014, with issues such as click fraud, bot traffic and view ability generating reams of column inches, and propelling programmatic firms into mainstream press attention. 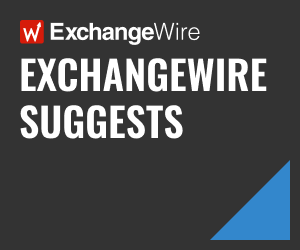 Hence this year ExchangeWire will debate the issue during a key panel session at its flagship ATS London conference, with security software vendors and advertisers alike to get their take on the issue. The consequences have been far-reaching, with Rocket Fuel recently lowering its revenue forecasts for 2014, citing advertiser concerns over its traffic quality over the quality of ad inventory sold via the ad tech firm (which earlier this year was embroiled in a scandal over a recent Mercedes-Benz campaign that was played out in the pages of both mainstream and trade press). At ATS London this year ExchangeWire will explore the extent of the problem, to what extent are large-scale advertisers are unintentionally funding websites hosting pirated content by programmatically-placed ads, as well as how to spot ad impressions generated by non-human traffic. As mentioned above, Rocket Fuel is the most high profile company to publicly fall victim to bot fraud, with the NASDQ-listed company being very publicly fingered as being involved a Mercedes-Benz campaign where over half (57%) of the impressions were reckoned to be fraudulent (albeit “inadvertently”). Rocket Fuel’s response was to contest the initial findings (the reports were based on a Telemetry report) and subsequently brand the initial piece (published in the FT) as ‘sensationalist’, but the damage has been done. But the ambition to address the problem is clear. For instance, the IAB’s Traffic of Good Intention (TOGI) initiative – a task force based in the US that aims to introduce raise awareness of “non-intentional traffic” (NIT) in order to minimise its impact – is due to be replicated in the UK. The Google purchase of security firm Spider.io as well as its purchase of Adometry (which also has its background in click fraud detection) earlier this year, have also underlined the issue’s growing importance, plus the imperative need to address it. Depending on what sources you listen to, the scale of the problem of click fraud varies widely, with estimates ranging from incidental, through to rampant, with security providers (unsurprisingly) claiming it is endemic. In the US, a 30-strong list of Association of National Advertisers (ANA) are participating in a month-long study to examine just how much of their online ad dollars are being wasted on NIT in a scheme that has been dubbed ‘The marketers’s coalition’ with security provider White Ops, with the trade org estimating that anywhere between 25-50% of paid for ads are fraudulent. Meanwhile, other estimates place the cost of the click fraud seamsters at $11bn in 2014, a rise of 22% year-on-year. Donald Hamilton, Blinkx Media, SVP, UK, says the need for transparency has prompted his firm to adopt the ‘old sales house model’ of representing premium publishers (whose traffic is more trusted in his opinion), and struck relationships with security firm Integral Ad Science to ensure the ad traffic through its platform is genuine, as well as Nielsen and Forensic to ensure ads are also viewable and in a brand safe environment. Of course, its is the scale of web traffic plus ad impressions available on open exchanges (plus the comparative lack of human supervision) that makes programmatic advertising so vulnerable to the fraudsters. Speaking recently with ExchangeWire Rohit Dhawan, Google, director of product management, EMEA display, explained that despite having what it believes is the highest security standards in the industry, it is extremely difficult to vet out 100% of questionable traffic. Geoff Smith, Audience On Demand (AOD), UK general manager, whose company also partners with Integral Ad Science as well as DoubleVerify to vet traffic sources, as part of its Vivaki Verified programme, says the problem is generally found in the long tail of traffic. “That’s where you find a lot of the traffic, and is you optimise a campaign on a [cost per-click] CPC basis, then that generates a lot of [cheap] clicks, and that’s where you find a lot of fraudulent traffic. Another thing we look out for is that if something has an abnormally high click through rate [CTR] then you have to look at blocking it. The problem is that as we get smarter so to the criminals,” he adds. Speaking earlier with ExchangeWire Jalal Nasir, Pixalate, CEO, highlighted a number of tactics used by such criminals, adding that although the problem is being monitored by more-and-more parties, the growing complexity of the ad tech sector allows for it to continue, despite such efforts. 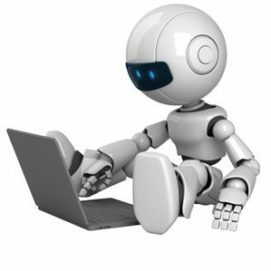 With the growing number of bots such as DeceptiBots, PhantomBots and VaderBots becoming more numerous in the market (read here for a fully comprehensive list), the game just like a never-ending game of cat and mouse, according to most. However, this is not to say the battle against click fraudsters is a pyrrhic cause, rather advertisers need to be more adept in their approach to how they buy on traffic exchanges, and optimise their campaigns, as well as not to continue to focus on buying cheap traffic. Thomas Servatius, IPONWEB, head of client services, says: “The problem is that when an advertiser buys traffic on a fraud site, it usually comes very cheap – much cheaper than human built sites [thus opening the opportunity for arbitrage from third-party players and media agencies] – and it has good click through rates. Marco Bertozzi, AOD, president, client services, EMEA and North America, argues that the entire industry is incentivised to prioritise lower CPMs (ergo poorer quality inventory, or even bot traffic through long-tail exchanges and networks) instead of quality content (where prices are higher). “I think educating marketers on the importance of paying more for quality inventory will need to happen because the buy and the sell side are chasing KPIs determined by said client who may be calling for lower CPMs versus quality interactions,” he says.